Last year, I was looking for a fully integrated solution for DJing with Traktor Scratch Pro to replace my Ecler Evo5 which, disappointingly, never received a 64-bit driver update – so I purchased a Kontrol Z2. However, due to its very limited hackability, the mixer eventually had to find a new home – and I had to find a new mixer. 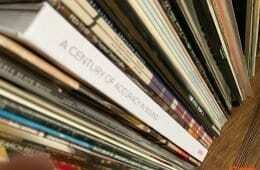 Truly a pain these days, as most of the greats are gone from the DJ market. In the true high-end area, the options are limited. 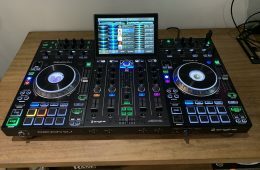 Luckily, attending the BPM Show in Birmingham provided me with the opportunity to try some fresh kit – and unexpectedly, I found a mixer worth writing about. 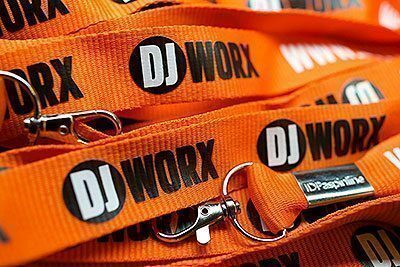 The DJWORX/IDA booth was located right next to the Rane showcase stand, so it was easy for me to spend some time over there and check out their new flagship: The Sixty Four. The mixer wasn’t connected to a computer, probably because Serato DJ 1.5 was still in beta at that time – but I could take a good look at the layout and build quality. Let’s get the obvious stuff out of the way: we’re looking at a Rane mixer designed with turntablists in mind, so it’s perfectly OK to expect an amazing crossfader, and the Rane Sixty Four doesn’t disappoint. Unlike the crossfader, however, the line faders are not magnetic; according to Rane it wasn’t a budget decision, there simply wasn’t enough space to put them in – but the regular ones still do a very good job. The knobs feel just right, too: no wobbliness, just the right amount of resistance and an unobtrusive center click where necessary. If you’re used to working with rubber buttons, the backlit plastic triggers on the Sixty Four take a while to adapt to – but once you’re familiar with them, feel and response are actually great. Someone clearly spent a lot of time looking for the perfect “click” on every little bit of this mixer, down to the little joystick in the effects section. The controls are packed pretty tightly for a 4-channel unit, but in my opinion they couldn’t have been laid out any better. 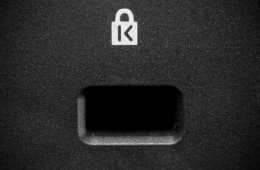 The faceplate has a nice matte surface with no sharp edges – there’s even a secondary headphone connector on the front of the unit, so your cable won’t get in the way. The improved high-contrast display, identical to the one on the Sixty Two, is very readable even at extreme angles. 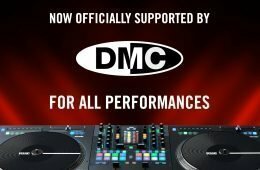 Out of all mixers I’ve seen at the BPM Show, the Rane Sixty Four intrigued me the most – so when I got back home, I quickly found myself browsing the Rane website. As with the Sixty-Eight, the most prominently advertised feature of the Sixty Four is its two USB ports which simplify changeovers for Serato DJ users: all you need to hook up a second computer is a USB cable. This is very cool, but we’ve already seen that on the SL4 and the Sixty-Eight – so what benefits are there besides club installations and hassle-free jam sessions? After studying the manual back to back, I decided to contact Rane directly because I had some really specific technical questions about working with two machines. Despite my honest effort to keep it short, I still ended up with an essay’s worth of text, so I fully expected any support person to make this beast of an e-mail disappear and blame it on the spam filter. To my surprise, however, they responded quickly and left me with little to follow up on. Within 3 days, I knew everything I could’ve possibly wanted to know – and I can safely say that was a first as far as support experiences go. Hats off, Rane. The Rane Sixty Four driver installs in a breeze and comes with a straightforward control panel. The settings are stored in the internal memory of the mixer. You can choose the mix record source, switch between mono or stereo for the master out, adjust the audio buffer size, control filter resonance (for each channel independently) and change effect settings. The mixer can also both send and receive MIDI Clock. In addition to that, it’s possible to bypass the default button lighting behaviour – a welcome option for MIDI mapping nerds who want to create their own visual feedback. When the analog channel inputs are switched to phono level (using the physical switches on the back of the unit), it’s also possible to adjust their sensitivity to match the output of the carts you use. On my machines, the audio buffer was set to 96 samples by default, resulting in 8ms of overall latency. This surprised me a little because I always assumed the audio buffer size had to be a power of 2 (64, 128, 256, 512 samples and so on) for optimum performance, but apparently the Rane driver can handle odd values with ease. Of course, I had to do a little stress test to evualuate the stability of the unit – but I couldn’t trigger any noteworthy errors except for one barely noticeable dropout related to external FX sends which was not consistent and therefore very hard to reproduce. Considering that the Rane Sixty Four has just been released and is yet to receive its first driver/firmware update, that’s pretty amazing. Connecting and disconnecting computers from either USB port while messing with audio device settings, changing channel assignments etc. produces no audible clicks, dropouts, spikes or any other glitches whatsoever. Each of the four channels comes with LED level meters and an input selector at the top. This allows you to assign the source to either of the two USB ports, the physical input corresponding to that channel or the aux input. A green LED labeled “control” located directly underneath tells you which channel the corresponding MIDI control strip is currently talking to – more on that in the next part of the review. Then there’s your standard gain/3-band EQ/2-way filter section, plus a slide switch for selecting or bypassing crossfader assignment and two buttons controlling FlexFX activation and PFL. Speaking of PFL, the Sixty Four has a split cue function for those that may need it. Nothing out of the ordinary here, just a really solid mixing section – everything is covered. The Rane Sixty Four also has two mic inputs with basic mixing controls – one with optional phantom power and one that can be switched to line level. Combined with the aux input (RCA), a hardware FX loop and session in/out ports (both RCA and S/PDIF), you’ve got a lot of connectivity options at your disposal. The Sixty Four has two identical MIDI control strips on either side. Those are assigned to channels 1/3 and 2/4 respectively – their function depends on what the corresponding channel is doing. If it’s a Serato DJ channel, the MIDI control strip provides basic browsing/loading controls, an encoder for adjusting auto-loops, a loop button, a looproll button, a slip mode button – and finally, the dreaded sync button. This has been the subject of way too many flamewars, so let’s not start another one – it’s here, deal with it. I won’t deny it’s pretty useful when you need to keep more than 2 decks in check, and beatmatching is such a basic DJ skill I couldn’t care less if it happens automatically. Located underneath is the MIDI trigger section, giving you four layers of four buttons with two banks per layer. When used with a Serato DJ channel, the factory mapping allows you to trigger hot cues, loops and samples in the SP-6 sample player, depending on which layer is active. Two of the four available layers are locked to the factory settings, the other two are remappable without affecting the rest of the functionality. When the channel receives audio from another program – like Ableton Live – the control strip is freely mappable. In practical terms: if you work with two computers, you can easily switch between controlling programs on either machine without having to overwrite the default mappings. 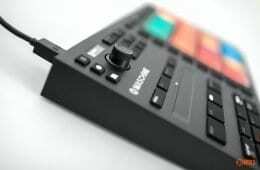 In addition to the control strips, every other knob and button on the unit can be MIDI mapped as well. If you work with Serato DJ, you probably won’t need this very often as the factory mapping already takes care of most functions – but if you don’t have an additional controller for tweaking FX parameters or controlling transport, having even more controls at your disposal can come in handy. The mic section, which often goes unused, can be bypassed and used for MIDI control only. If you do that, you’ll sacrifice MIDI control for button lighting – but that’s tolerable since this section only has four buttons. At this point, it’s not possible to send MIDI to both USB ports at the same time – but that’s not that big a deal, as I guess most people won’t have much use for superknobs that control things on two computers simultaneously. In fact, the way this currently works makes more sense. You can toggle MIDI control between USB ports A and B with a dedicated button located in the master section. That reduces the likelihood of creating wrong/double mappings by accident. The FX section doesn’t look too impressive at first glance – here’s what you get: a high pass/low pass LFO filter with an adjustable sweep phase, an echo with optional low cut and infinite feedback (which can be abused as a simple looper, perhaps best demonstrated by DMC Online World Champion Jon1st in his winning routine on the Sixty Two which has the same effects), a flanger with positive and negative feedback, a regular phaser plus robot (a crude pitch shifter) and reverb. I have found little use for robot and reverb because their software counterparts sound a lot better – but that doesn’t really matter. The effects engine is capable of things that make up for that many times over. 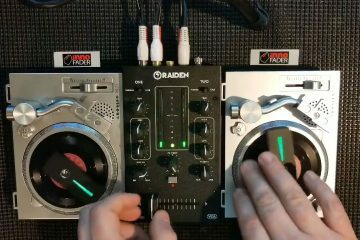 Besides manual tap-in, the FlexFX unit can receive BPM from either of the two USB ports and syncs to Serato DJ when effects have been activated for a Serato DJ channel. The BPM clock can also be locked down to a specific source. The resulting timing can be adjusted in 1ms increments, so if the Rane Sixty Four’s internal FX timing presets are not enough for you, you can just pick something inbetween manually and PFL to make sure you’re getting what you want. In addition to that, the mixer automatically broadcasts its BPM clock signal to both USB ports (activate clock send & receive in the driver control panel). If you’ve ever tried syncing Ableton Live to Traktor between two machines – let alone two Windows machines – you know it can be a real pain. I’ve tried to achieve this basic thing for quite some time, but in the end, bypassing BPM clock entirely and beatmatching by ear always proved more reliable than anything else. Until now, that is. 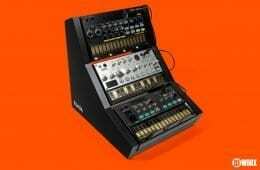 The Rane Sixty Four made every problem I’ve had with getting two machines to sync up disappear – slaving Ableton Live to Serato DJ worked the very first time I tried it and every time after that. Unfortunately, I can only speculate as to why this mixer outperforms every virtual and physical solution I’ve tried so far. Two laptops with completely identical system specs allow me to run the Rane Sixty Four at the exact same settings, so I’m testing under ideal conditions – but I guess sending clock internally makes a big difference. 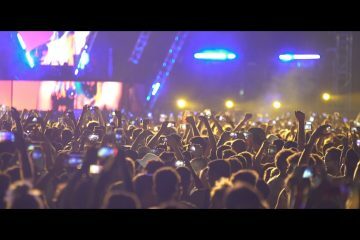 Whether you’re jamming with a friend or going back and forth between a DJ set and a live set on your own – it’s no problem at all, the BPM drift is barely noticeable. You can even re-trigger BPM clock directly from the FlexFX panel; it will also restart the clock for the internal effects. The important part is that once everything is in sync, it stays in sync. Now let’s take a look at how the send/return routings work. Besides a standard external FX loop for hooking up hardware FX units, the Sixty Four has two software FX inserts, one for each USB port – available for every channel. Let that sink in for a second: you can actually send the sound from any channel through the send/return of either USB port. In my rig, that means I can apply Ableton effects to sound coming from Serato DJ and vice versa – and they’ll always be in time because of the clock sync, too. As mentioned before, I haven’t been able to produce any pops, clicks or glitches – and most importantly, there was no audible delay whatsoever. I’m pretty sure the Rane Sixty Four is the only mixer out there that makes this degree of creative sound mangling so incredibly easy. I can imagine you thinking “okay, this guy’s just writing an elaborate ad for Rane” right now – well, just try to imagine the trouble you would have to go through to achieve similar results with traditional methods and you’ll understand my enthusiasm. The cherry on top is, you can chain internal FX with external and software ones as well: the signal flows from the mixer’s internal FX through the external loop and from there to the USB inserts. Here’s a basic example: activate the LFO filter, then treat it with a dub delay from a kaoss pad and finally, add a reverb in Serato DJ or your DAW of choice. You’ll hear the effect of the mixer’s LFO filter in the tail of the delay coming from the kaoss pad, and the software reverb on top of that. Mind = blown. The signal always returns post-fader, too, which is great for delays and reverbs. With all these features, the possibilities are practically endless – the only downside is, you have to own two computers to take full advantage of them. You can’t hook up both of the Sixty Four’s USB ports to the same machine, the driver won’t handle it. Still, I can imagine using something more affordable like a mac mini as a dedicated FX processor, looper, mix recorder – or all of the above. Set it to boot directly into a live set containing your FX chains, hook up a small MIDI controller and you’re in business. No hardware effects box out there can compete with that. People keep asking about The Bridge, and I would like to see it become a part of Serato DJ sometime in the future as well (read this for the status at the time of writing – Ed). The Sixty Four’s 22-channel audio interface could handle it easily. But let’s be honest here – Mixtape is the only feature we really want, isn’t it? Because integrating a tiny bit of the Ableton GUI into your already crammed Serato window isn’t really that amazing, especially not on small screens – otherwise more people would use it. The capabilities of the Rane Sixty Four allow you to integrate Serato DJ with Ableton Live so seamlessly, they essentially make everything but Mixtape obsolete. Yes, you need two machines – but if you’re going for a complex live/DJ setup, you’re going to need them anyway. There is no such thing, of course. To me personally, however, the Rane Sixty Four is by far the best 4-channel DJ mixer you can get for money right now. Everything about this unit screams quality and it delivers beyond any doubt – but a few things could’ve been done better. The default channel assignments make sense, but a fully flexible input matrix would be nice. I’ve already mentioned that the line faders are not magnetic – this is probably why their behaviour is not as tweakable as on the Sixty Two. You can adjust their curves, but not independently – and it’s not possible to reverse them either. The Rane Sixty Four has an excellent display, so it should be possible to have it show some more info from the software when no effect is active – loop/roll size, for example. Any reason not to look at the laptop screen is welcome. Finally, while sending MIDI clock between two machines works flawlessly, there is no internal MIDI bridge that would allow you to send notes and control changes from one machine to another – but if you really need this feature, two USB-MIDI interfaces won’t hurt your wallet too much. Because Rane manufactures in the United States while most other brands outsource production to Asia, the mixer can’t really pass as “affordable” – but even with that price tag, you get what you pay for twice over. Having used Traktor since its conception, I wouldn’t have thought I’d ever say this, but I honestly don’t miss anything at all when using Serato DJ. Tempo-independent key adjustment would be nice, but I’m sure they’ll get that done in due time; there’s already a pitch shifter in the “Chip” effects expansion pack. 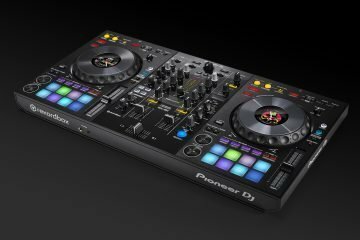 Of course, as I said in my NS7 II review, from a controllertablist’s point of view Serato DJ is not quite there yet – mostly because of its limited MIDI mapping. But it’s steadily catching up with every update, and the Sixty Four’s additional capabilities closed the deal for me. Here’s my final verdict: if you’re looking to step up your tech game or just buy something future-proof, you should definitely give the Rane Sixty Four a serious go. It opens up a world of possibilities in a way no other mixer can currently keep up with.